Nice apartment on the 1st floor of a building located in the Piazza di Mondello, simple and essential can accommodate up to a maximum of four people. Nice apartment on the 1st floor of a building located in the Piazza di Mondello, simple and essential can accommodate up to a maximum of four people. The beach is just at few steps from the Piazza and is the destination of swimmers at all hours of the day. In the stretch of road closest to the square there are bars, ice cream parlors, trattorias of fresh fish and small friggitorie, where you can taste typical Sicilian dishes. Excellent is the location for those who want everything at hand, both to make interesting cultural excursions to Palermo, Monreale, Cefalù or to take a ferry for a day on the island of Ustica. This solidly constructed apartment was originally built in 1930 and refurbished in 2018. The agent has rated it as a two star property so it is a plainly furnished apartment with limited facilities. It is ideal for a cheap holiday. 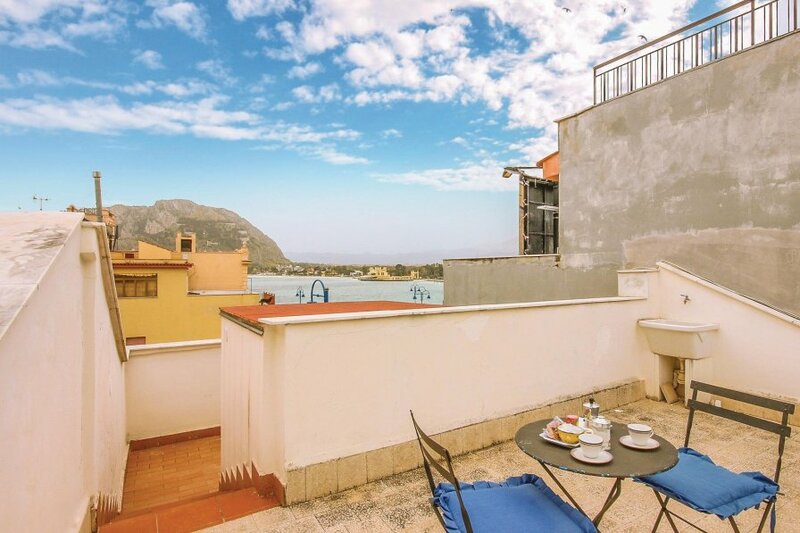 This apartment has beautiful panoramic view over water and is located in Palermo, only 5 metres from Mondello. The nearest airport is only 20km away. It is set in a very convenient location, just 300 metres away from a sandy beach. There's also a restaurant only 5 metres away. 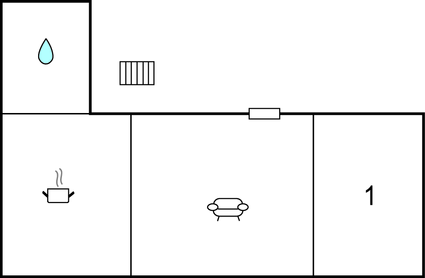 The apartment is adequately equipped: it has a refrigerator and microwave.